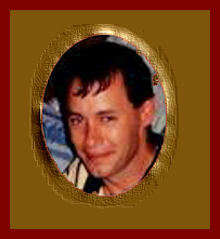 age 40, of Joplin, Mo., passed away on Sunday, Nov. 28, 2010. David was born on Feb. 9, 1970, in Waterloo, Iowa, the son of Vernon "Dean" and Karon (Maas) Tosh. He has been a resident of Joplin most of his life. He was an avid fisherman. He was a proud member of the Seneca Cayuga Tribe of Oklahoma. David is survived by his mother, Karon Tosh, Joplin; his wife, Michelle Tosh, Joplin; two children, Dausen B. Tosh and Quinlyn A. Tosh, both of the home; four brothers, Dennis Tosh and wife, Sarah, Joplin, Darrin Tosh and wife, Cassie, Baxter Springs, Kan., Darrall Tosh, Joplin, and Travis Tosh, Austin, Texas; one sister, Rebecca Otten and husband, Eric, of North Carolina.